Lucy (Ciluffo) Reed born December 7, 1937,daughter of the late Joseph and Jenny Ciluffo, predeceased by her brothers Paul and Joseph Ciluffo, passed away peacefully on March 9, 2018. Lucy was a charismatic, spontaneous and fearless individual who loved to socialize, playing bingo, watching her favorite tv shows and most of all spending time with her family. 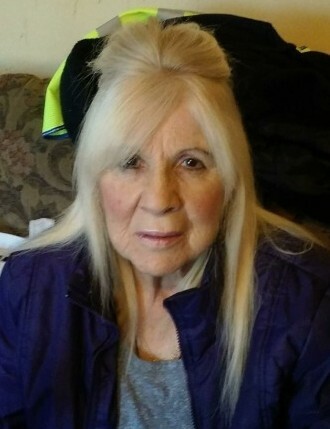 Lucy is survived by her three daughters; Theresa Reed, Maria Reed her fiancé Hector Santiago and Joanna (Reed) Nealon and husband George Nealon, 9 grandchildren; Teresa Rodriguez, Julie Santiago her boyfriend Melvin Urena, Crystal Santiago, Steven Andrukaitis, Jennifer Santiago, Fernando Collazo his partner Daniel Gonzalez, Kristina Andrukaitis, Amanda Santiago, and Johnathan Santiago and his fiancé Vanessa Ramirez, 9 great grandchildren; Anthony Rodriguez, Reynaliz Gonzalez, Kaylianna Gonzalez, Alyahna Urena, Nayliece Santana, Ilyana Santiago, Athaniel Urena, Annalise Santiago and Alana Andrukaitis, 1 great great grandchild Aazya Rodriguez. Family and friends are welcome to call on Saturday March 17, 2018 from 3-5p.m. at Diaz-Healy Funeral Home, 107 South Broadway, Lawrence.